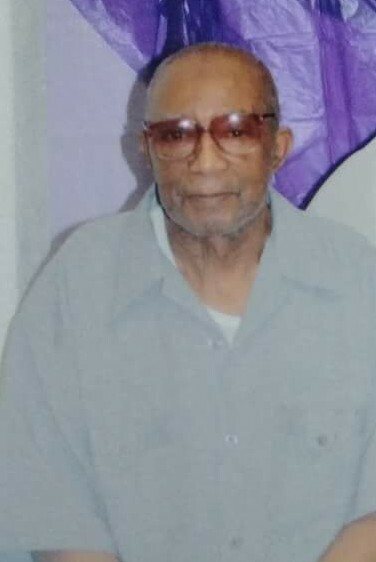 Mr. Calvin "Myers'" Brown, Sr. was born on January 1, 1933 in Holly Hill, South Carolina. He was the son of the the late Annie (Mookie) Brown and the late Thomas Myers. He received his education at Danztler School in Holly Hill, SC. He was united in marriage to the late Mattie Mae Elliott Brown, and to this Union four children were born; the late Kenneth Eugene Brown, Calvin Brown, Jr., James Brown, and Eula Brown Jones. Calvin earned his wings on Monday, September 3, 2018. He was preceded in death by his wife: Mattie Mae Elliott Brown; his son, Kenneth Eugene Brown; his mother, Annie (Mookie) Brown; his father: Thomas Myers; five brothers, Clay (Mickey) Brown, Virgil Brown, James, Wilford, and Walter Myers; and one sister, Lizzie Lee Brown. He leaves to cherish fond memories his two sons: Calvin (Gloria) Brown, Jr. of Philadelphia, PA and James Brown of Santee, SC; two daughters: Eula (Paul) Brown Jones of Bowman, SC and Pamela Rivers of Brooklyn, NY; three sisters: Eulla Williams of St. George, SC, Lula Alston of Philadelphia, PA, and Geraldine Fangan of Philadelphia, PA; two brothers: Thomas Myers Jr. of Philadelphia, PA and Elijah Myers of New Jersey; one sister-in-law: Georgia Anna Elliott of Orangeburg, SC; one brother-in-law: James Preston; fifteen grandchildren, twenty-five great grandchildren, and a host of nieces, nephews, and friends.